Hey loves! A few weeks ago I was contact by River Island, an amazing fashion retailer, regarding their February We Heart Nail Art competition. I’ve done several Valentine’s looks this month, so I wanted to do something that was girly, but not too literal. I used Zoya Lara, a bright pink, for the base color. Next, I used Zoya Ziv, a gold metallic for the accent nail. I recently received these rhombus studs from BornPretty and I wanted to use them for a cute accent. They applied easily with a little bit of top coat. For the other accent nail, I used chevron strips from Nail Vinyls. The vinyls were easy to apply, but you have to be sure to line them up evenly, which I’ll need to work on. 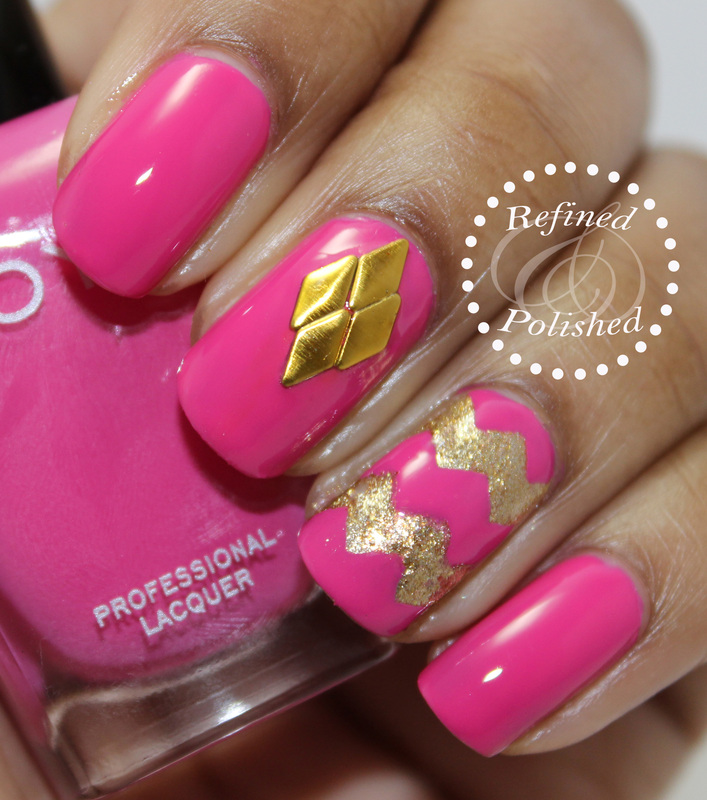 Pink and gold is such a great combo! I like the way this turned out and I’m looking forward to practicing more with the nail vinyls. I purchased three different chevron sizes. The rhombus studs are available here for $4.99 and you can use my discount code of TPJ61 for 10% off your order.